A fresh, hot churro dunked in a velvety chocolate sauce just sounds like heaven, right? Churros have definitely become increasingly popular in South Africa, but to find the perfect one in Cape Town is somewhat rare. Instead of hunting for it, I opted for the easier route and whipped up a batch yesterday, using the recipe below. During my recent trips to Abidjan, a friend had opened my eyes to the magic of Lebanese cuisine. For dessert I tried Mhalabia, a sweet and creamy almost panna cotta like textured middle-eastern milk dessert with the perfect complementary note of rose water, topped with honeyed pistachios. As a sweet treat, this was right up my alley and left me dreaming about it for days. These daydreams left me with no choice but to try and recreate it, to satisfy my growing craving. 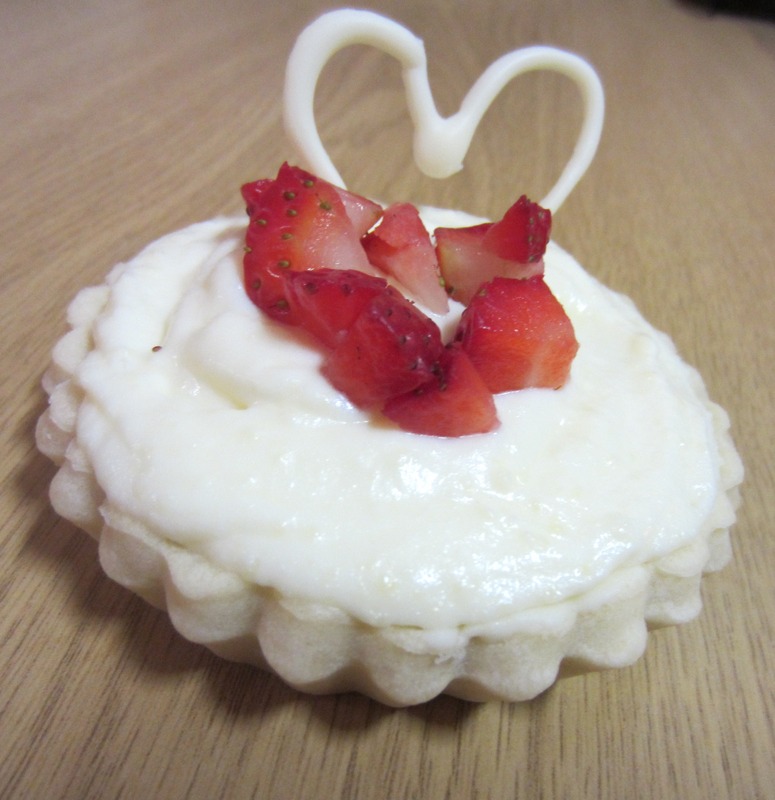 To my pleasant surprise, it is incredibly quick and easy to make! I’ve had this recipe in my drafts for such a long time, it’s finally time to shake off the dust and cobwebs and share this quick, easy and decadent recipe! With winter snuggled in, this is the perfect quick and indulgent dessert to whip up for comfort, nostalgia and eye-rolls-of-delight…*cue the music* Chocolate Bread Pudding. I literally took a traditional bread pudding recipe and replaced the raisins with chopped up Lindt couverture. The selfish reason for this substitute is simply because I can’t stand raisins and hey any excuse for chocolate right?! Happy New Year! Wishing each and everyone a fabulous new year, may the year ahead navigate us all to be the best versions of ourselves! I’ve really chosen the worst time to attempt making raspberry desserts. Well basically it’s impossible because it’s out of season. 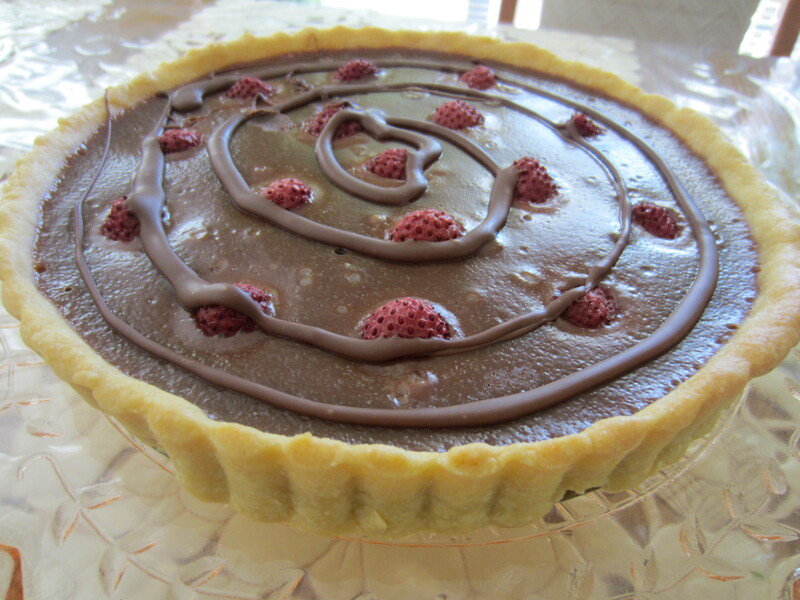 First it was the white chocolate and meant to be raspberry tarts and now it’s the milk chocolate and raspberry tart that was substituted with strawberries. I will definitely be trying this recipe again when raspberries are actually in season. 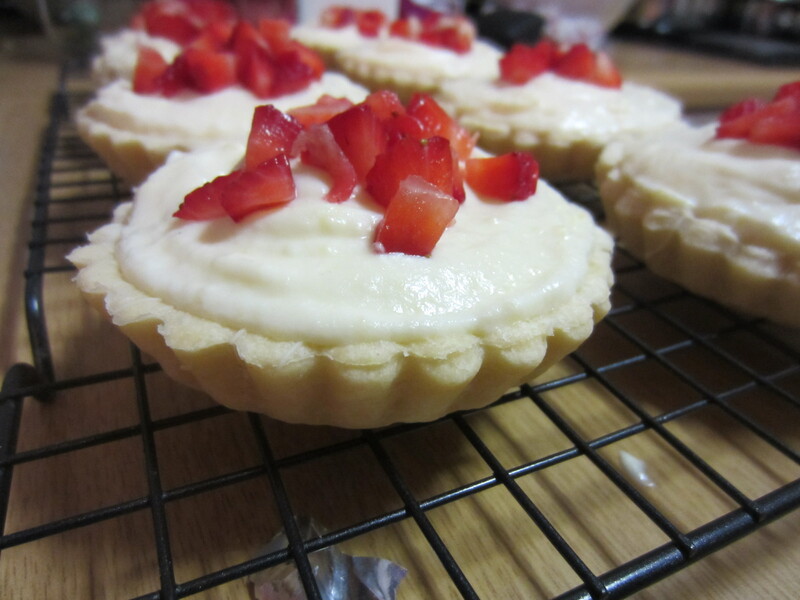 It was such a quick and easy dessert to put together and I was particularly impressed with the pastry which is basically a shortbread pastry – divine! 1. Process flour, icing sugar, salt, butter and the egg yolk. 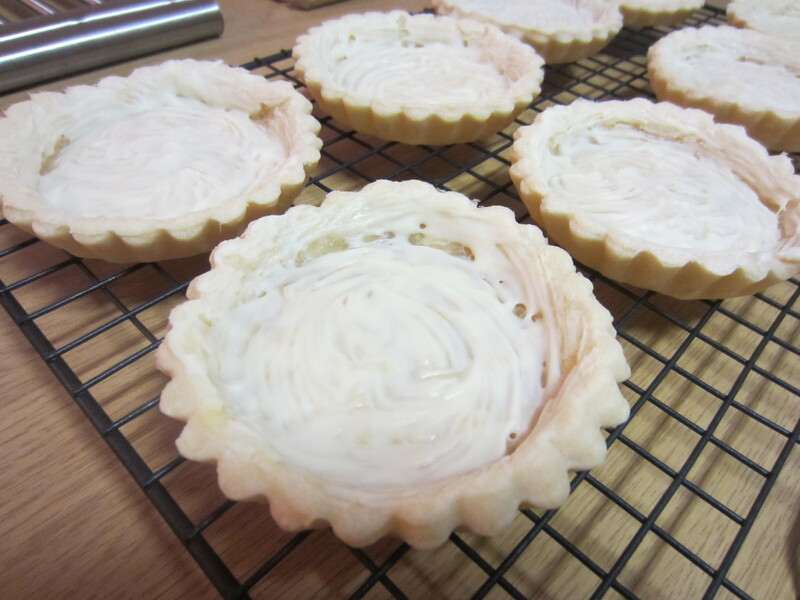 Roll out thinly to line a 20cm loose-bottom tart tin, prick and freeze. 2.Bake at 190 degrees celsius for 10 minutes or until set. Cool. 3. For the filling: Heat cream with castor sugar and broken chocolate until the chocolate melts. Allow to cool slightly, then beat in the egg yolks. 4. Pour into pastry shell. Press in a punnet of strawberries / raspberries and bake at 150 degrees celsius for 30-40 minutes or until set. 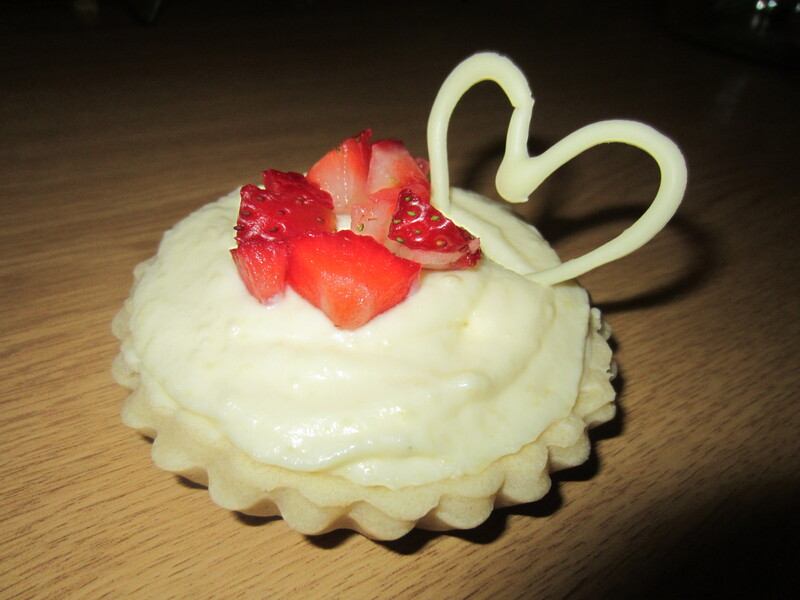 This was actually meant to be White Chocolate and Raspberry Tartlets, but with raspberries being out of season, strawberries had to just do the trick. This is perfect for any special occasion and you can have fun and go wild decorating them. 1. Preheat the oven to 180 degrees celsius. To make the pastry – in a bowl, rub the flour and butter together with your fingertips until it resembles fine breadcrumbs. Stir in the sugar, add 2-3 tablespoons of cold water and bring together to form a soft dough. Wrap in cling film and chill for one hour. 2. Meanwhile, make the crème patissière. In a large bowl, whisk together the cornflour and egg yolks. The mixture will be stiff at first but it will become easier to mix. Place the milk and the vanilla pod in a pan over a medium heat. When it reaches a simmering point, strain over the egg mixture, whisking all the time (discard the vanilla pod). Stir in 100g of the melted chocolate and whisk well. Return the custard to the pan and heat gently until thickened, whisking all the time. Set aside to cool, covering the surface with cling film to prevent a skin forming. 3. 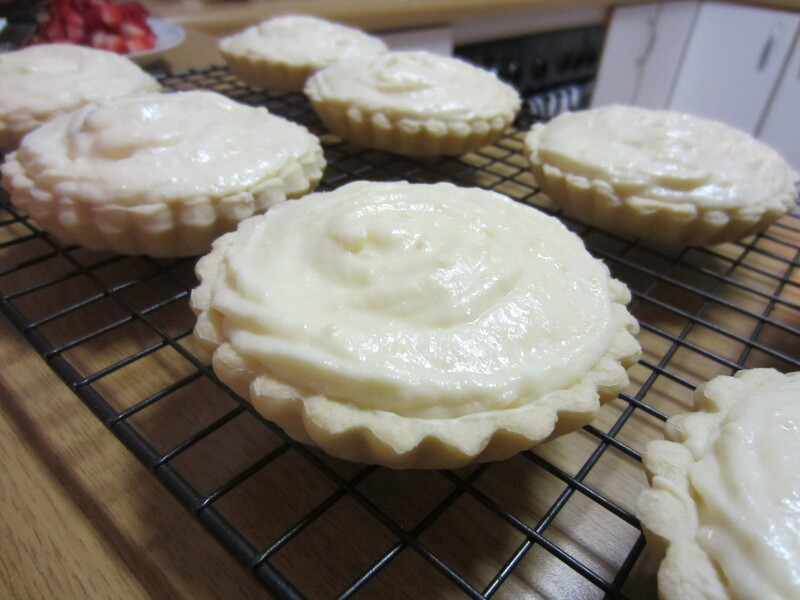 On a lightly floured surface, roll out the pastry to a 5mm thickness and use to line 6 × 10cm round ×2cm deep fluted tart tins, trimming any excess pastry. Line each with baking paper and beans and blind bake for 15 minutes. Remove the paper and beans and bake for a further 5 minutes until cooked and golden. Carefully remove the patsry cases from the tins and cool on a wire rack. 4. 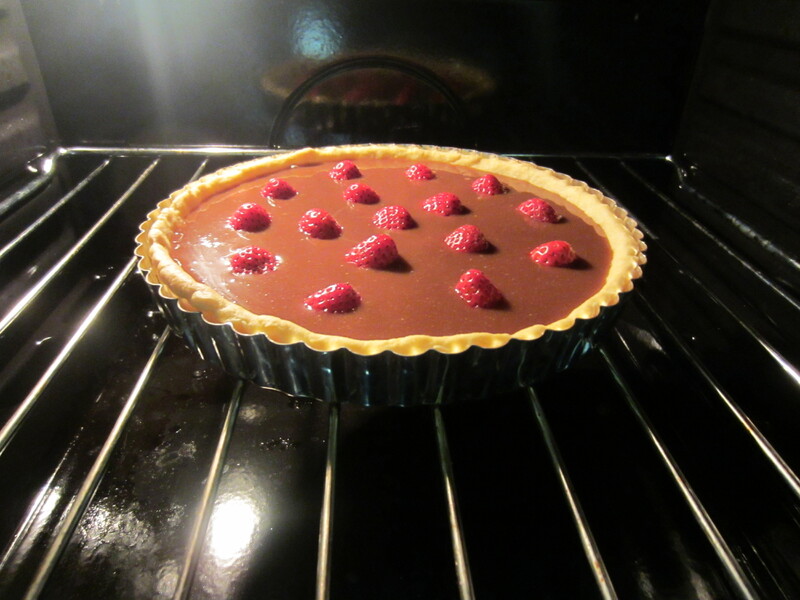 Once cool, brush the remaining melted chocolate into the tart cases in 2 coats, chilling between each coat. 5. Whisk the cream to just stiff peaks and fold into the white chocolate custard.